Favorite Things Friday is back, friends!! If you're new around here, I took a couple month hiatus ((oooops)), but it was a weekly feature until we came back to the states & life got crazy. Here's a rundown: I round up a few of my favorites from the week. 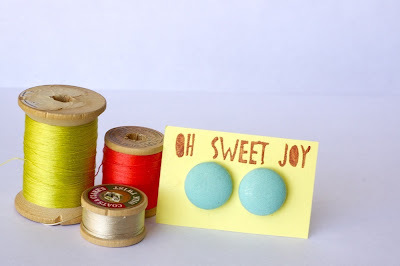 This could be a color I'm loving, something in life that's making me happy, handmade finds, or decor ideas, clothing picks, or a combination of all! Spring is in the air & it's SO exciting! It's officially March ((it's my birthday month people. write it down. March 28th)) and although snow is in the forecast, ponds are thawing, robins are hopping, and trees are budding. 1. This blouse from Lauren Conrad. It's so springy and FUN. Not to mention, I kind of like robin's egg blue ;) Lucky for me, one of my besties knows that I'm on a clothes buying hiatus and BOUGHT THIS FOR ME & shipped it to me. She's awesome. I'm a lucky gal. 2. Spring ((solids)) Covered Button Earrings. I can totally plug myself if I want to. These are PERFECT for pairing with floral prints for spring. With 6 color options & 3 size options, you've got a lot of options for a whole lotta cute! 3. I love robins. Really love them. Those birds make me so happy & when I saw a few hopping around last week, I *knew* it was spring time. This print needs a place in my home...like, yesterday. 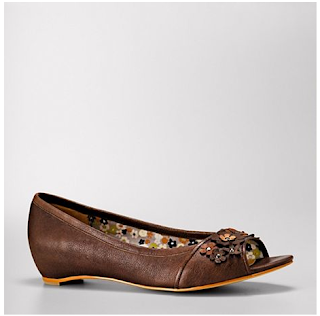 4.I love peep-toed flats! Fossil, you need to stop making things I have fetishes for...but I'll take these "fern" peep toes. mmhm. 5. Wednesday morning Chase & I woke up earrrrly & went to Chick-fil-A for free breakfast Wednesdays. ((Chick-fil-A is my love language)). 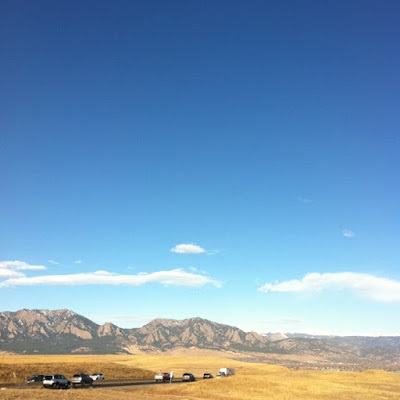 On the way back we stopped at this scenic overlook of Boulder. It was a gorgeous, blue sky, mountains majesty day. And how awesome is the golden hue of the fields? Love it when God's creation wows me. It was a suuuuuper busy week and I am *so* looking forward to the weekend. Have any fun plans?? LOL - Chick-Fil-A is your love language! Too cute! loving the flats too....so darn cute. love the flats & top as well...perfect for spring! peep toes are everywhere this spring..good stuff! Oh I love that shirt! wish it was warm enough to wear it here in Michigan! Super cute blouse! I love Lauren Conrad...she has great stuff & great style! I love the last pic - so gorgeous! And I love Chick-fil-A too! Chicken minis - yes please. And how the heck did you get free breakfast?? 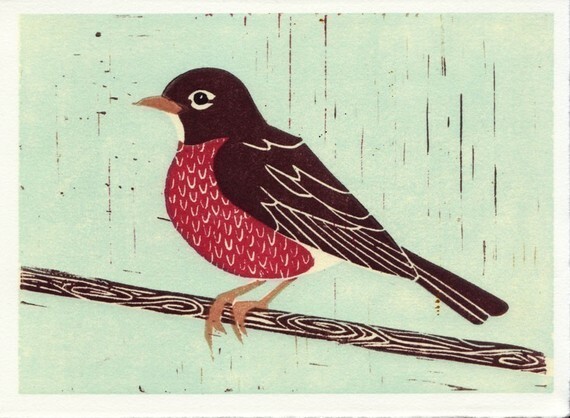 I just checked out Anna See's shop and I love all of her bird and animal prints! So glad I checked your blog today! I can't tell you how I giggled when you said Chick-fil-A is your love language-amazing. love the shoes, need them, want them! i use to wear a lot of heels but now i am favoring the flats. also, a girlfriend and i went shopping last spring, i tried on a pair of capris, didn't buy them. my girlfriend mailed them to me a few days later. Okay, well Chick-fil-A banana pudding milkshakes are my love language. i LOVE lauren conrad's line! :) i own several pieces and now i want this blouse haha! !